NO – Dissent is the highest form of patriotism. NO – Peace is that brief glorious moment in history when everybody stands around reloading. NO – My reading of history convinces me that most bad government results from too much government. NO – The beauty of the Second Amendment is that it will not be needed until they try to take it. NO – The democracy will cease to exist when you take away from those who are willing to work and give to those who would not. 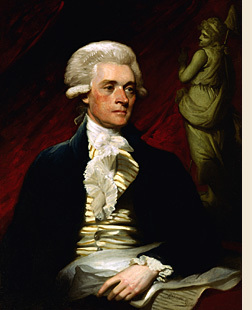 Thomas Jefferson was the first to be inaugurated in Washington DC. Jefferson also was the only one to walk to and from his inauguration. Jefferson was vehemently against the corrupting influence of banks and monied interests. He joined with Madison, and actively worked against Hamilton. Washington nearly dismissed Jefferson from his cabinet over this, and Jefferson did leave the cabinet voluntarily. Washington, however, never forgave and never spoke to him again. 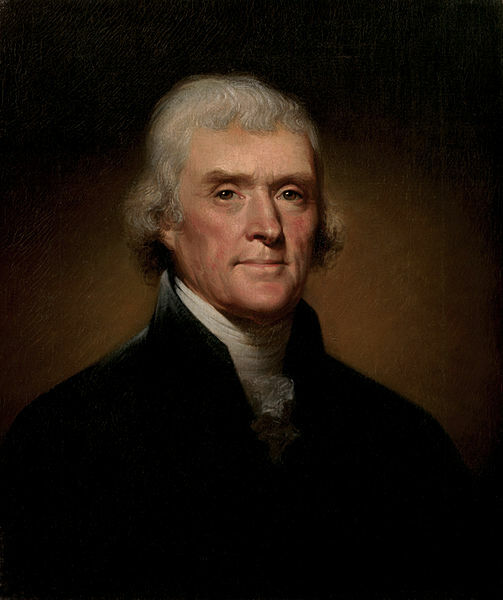 Jefferson sought to purge from government the Federalists appointed to government jobs during the previous administration … a practice common today, but greeted with howls of protest in the early 1800s. Ohio became a state during Jefferson’s Presidency. The Louisiana Purchase was completed during Jefferson’s Presidency. Historians disagree with how that happened, exactly. Did Napoleon Bonaparte initiate the transaction? Does Jefferson deserve credit? Madison? Monroe? The price was $15 million, and it was a bargain. Jefferson gets credit for completing the deal, in spite of the lack of constitutional authority to do so (which Federalists criticized him for). 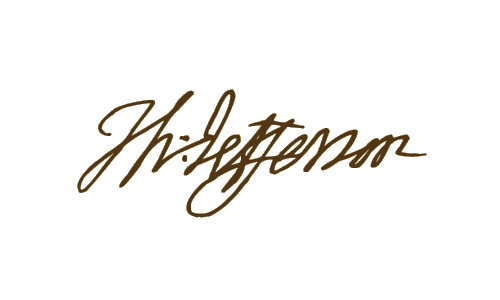 Historians have long disagreed about Jefferson’s commitment to the anti-slavery cause. Many believe he was the father of one or more children by Sally Hemings, a slave that he owned. It is true that in 1807, he signed a law that banned the importation of slaves into the United States. Jefferson believed that all (white, landowning) men were created equal and should be treated the same. His home was open to all citizens. In 1803, England’s foreign minister came to call on him at the Presidential Mansion … wearing full diplomatic regalia. Secretary of State Madison couldn’t find Jefferson … but when he finally was found, Jefferson came to the meeting wearing slippers. Lewis & Clark gave him two grizzly bears, which he kept on the White House lawn for some time. Jefferson’s original tombstone is on the campus of the University of Missouri-Columbia, my alma mater. His epitaph, which Jefferson wrote, does not mention that he was the 3rd President of the United States! The Official Portrait: Rembrandt Peale painted the Official White House Portrait of Thomas Jefferson in 1800.